Charming 5Bd/2Ba colonial ready to welcome you home. 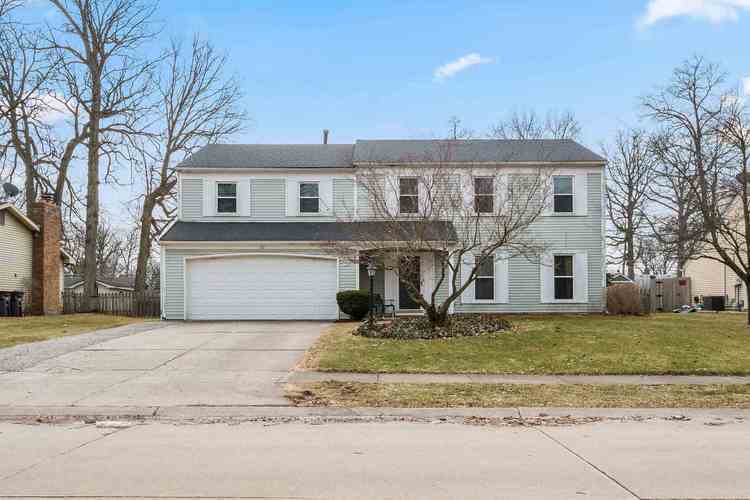 Main floor features a large great room with gas log fireplace, formal dining area, family room, half bath and eat-in kitchen (bright and fresh with plenty of storage and counter space). Upper floor showcases five bedrooms including the spacious master suite (dual sink vanity, walk-in closet and wood burning fireplace).--Don't miss the bonus space in this fantastic master bedroom. Another full bathroom is upstairs along with access to attic storage. What we love: oversized fenced backyard with open patio and storage shed (perfect for entertaining) and a new AC unit (2017). Directions:From Maplecrest Rd turn left onto Trier Rd, left onto Nottingham and right onto Blue Beech.